Dr. Robert R. Martin who had recently been named "Kentuckian of the Year" with a "This is your Life" program written and made by John R. Vickers and directed "back stage" by Don Feltner. 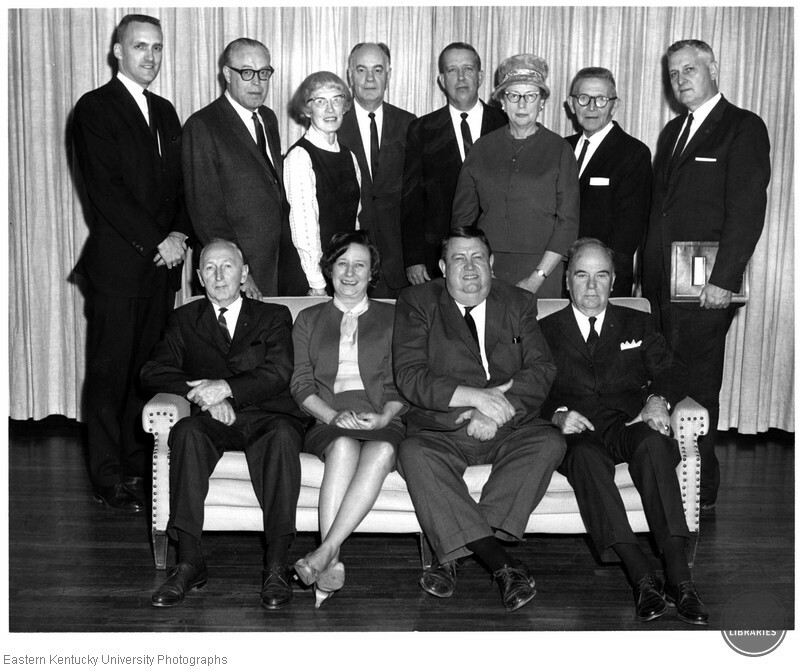 Pictured l-r are (Sitting): Joe Embry, Anne Hoge Martin, Robert R. Martin, Emeritus W. O'Donnell; (standing): Don Feltner, Russell L. Todd, Gertrude Hood, W.M. Chilton, James Sublett, Mrs. Mary Richards, Dr. L.G. Kennamer, John L. Vickers. “Rotary Club Dinner at the Madison Country Club,” Digital Collections, accessed April 24, 2019, https://digitalcollections.eku.edu/items/show/41611.